It’s the most wonderful time of the year! In some parts of the country, it’s snowing, while in Atlanta, it’s doing the whole today-is-freezing-tomorrow-is-tropical thing that we ATLiens are so accustomed to. To me, there’s nothing like Fall/Winter in Georgia, but no matter where you are across the great U.S., you’re likely excited that the holidays are here! And even if you’re not a big holiday participant, you’re also likely to be someone in or interested in the film industry - hence reading this blog. So why not combine your love of film and love and/or tolerance of these festive days by watching some holiday movies that are ACTUALLY pretty dang good - read on to discover your new faves! Oh c’mon - this one is a CLASSIC, and you can’t tell me that Jimmy Stewart and Donna Reed aren’t national treasures. I honestly don’t think I need to elaborate any more on this, because if you haven’t seen It’s a Wonderful Life right now, then I don’t know how to talk to you. 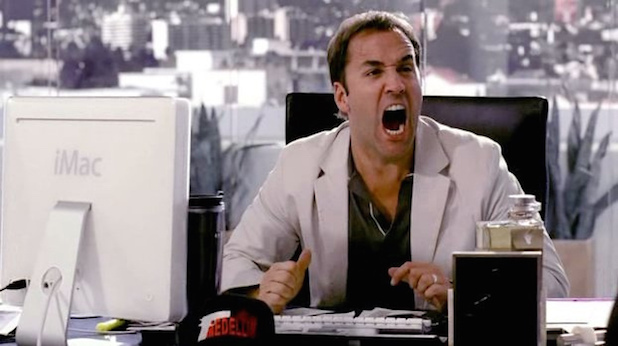 When asked by the New York Post which Saturday Night Live actors he knew he would cast the minute he saw them audition, long-time showrunner Lorne Michaels stated, “Will Ferrell,” among others like Kristen Wiig and Dana Carvey. Ferrell is an INCREDIBLE actor, and his 200% commitment to portraying Buddy the Elf as the wholesome content America needs is near-perfection. This movie is perfect for the whole family, and if you haven’t seen it yet - why haven’t you? This film is so good - in fact, I forgot how good it was, until I started writing this post! It’s honestly one of my very favorite holiday films, and I tend to think of the 1994 version as my go-to (and Mara Wilson, is, as always, spectacular), but the 1947 version is just infinitely better - it just is. You really can’t beat classic movies, especially at this time of year. There’s just something about an old black-and-white movie that really takes me back; perhaps the nostalgia is playing too much into my opinion on the actors’ capabilities, but Maureen O’Hara, John Payne, Edmund Gwenn, and Natalie Wood in her first major film role, are superstars. Is it a Christmas movie or a Halloween movie? It’s an age-old debate (or, well, a 25-year-old debate, yeesh), and I would argue that it’s both. Both are good. I also realize that it’s stop-motion animation, but the VOICE ACTING in this piece is incredible. I mean, c’mon - Catherine O’Hara plays Sally - what more could you ask for? And Chris Sarandon and Danny Elfman are iconic as Jack the Pumpkin King (speaking and singing voice, respectively). What’s your favorite holiday film? What new holiday movies are you looking forward to this year? Let us know in the comments! Posted on November 29, 2018 by Girl.Copy. What does it mean to select “monologues you’re familiar with”? Many actors question whether or not this phrase, “familiar,” means to be off-book. The short answer is yes! Remember the ABOB’s of acting: Always. Be. Off. Book (that was a little Glengarry Glen Ross reference for the uninitiated). You will look so much more impressive as an actor if you’re off-book. 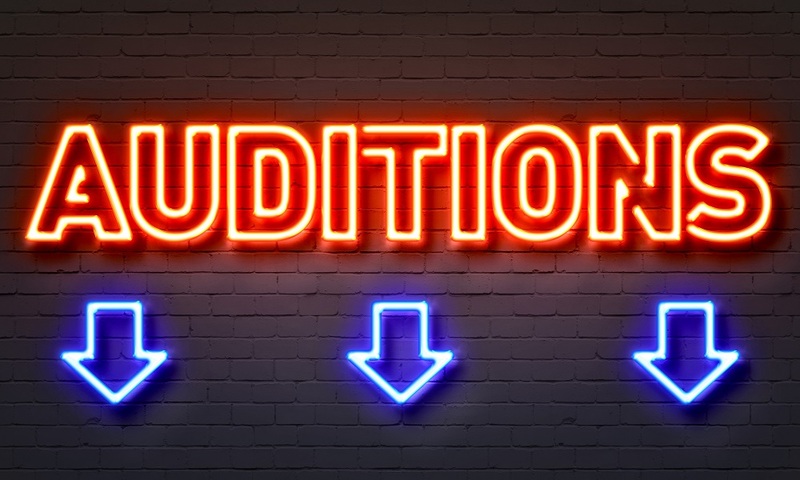 You should also work with an acting coach before any big audition or callback, if you can. That said, feel free to keep your script on you “for safety,” but any casting director worth their mettle will much rather prefer you improvise, if needed, as opposed to reaching for your script. And “improvise,” doesn’t mean to go off in a wacky world that has nothing to do with the original script - it simply means that if you mix up a word or two or have to summarize parts of your monologue, that’s okay, as long as you get the point across! Unless it’s Shakespeare - then, please don’t try to improvise Shakespeare, unless that’s your bag! What agents in Atlanta should I audition for? Atlanta has numerous options for agents! It’s important to note which type of agency is right for you, whether it’s a more boutique agency with a smaller roster (less competition among the other actors at the agency, which is beneficial), or if you want to be a part of a well-known, national and global agency, which also has its perks. Big agencies like J Pervis are known in Los Angeles, and smaller agencies like Houghton Talent have good reps. You’ll also need to make sure that these agencies are accepting new talent. How do I start acting in America, if I’m from another country? If you moved to the good ol’ U.S. of A and want to be an actor, you’ll need to obtain an O-1 Visa (also known as a work visa) or Green Card. The Green Card actually seems easier to get, as with the O-1 Visa, an individual has to possess “extraordinary ability in the sciences, arts, education, business, or athletics, or who has a demonstrated record of extraordinary achievement in the motion picture or television industry and has been recognized nationally or internationally for those achievements.” The O-1 Visa process seems to be a lengthy one, but so is the Green Card process. In any case, you may be able to get paid “under the table” on student films or you could always work for free to gain experience! Auditioning for SAG work doesn’t hurt, either, and can help speed along the process for a work visa. How do I get started as an actor? Start off by taking classes! Whether it’s on-camera acting, improv, or scene study, acting classes are a safe space where you can fail - you couldn’t ask for a better start in acting! Atlanta is a growing hub for production, so there are a plethora of classes you can take and coaches you can hire, but of course, we recommend our own, since, you know, we’ve trained in schools like Juilliard, The Groundlings, and Dad’s Garage among others. Posted on November 18, 2018 by Girl.Copy. Here at Studio 27, we pride ourselves on fostering talent and highlighting artists doing cool work in the community. Their successes are our successes, especially when they’re local to Atlanta! We interviewed actor/writer/comedian Swift Rice and chatted about acting, comedy, and making a living from art. Studio 27: Hi Swift! Thank you for allowing us to interview you! Swift Rice: Thank you for having me. I’m excited to be interviewed. A friend told me “it is better to be seen than viewed”...sorry, that was random. S27: Ha, no worries, we love it! Tell us a bit about who you are, and what you do. SR: I’m a improvisor/comedian/actor. I enjoy teaching at my afterschool program. We teach acting and improv to kids ages 10-15. I consider myself a “hustling artist.” I’m blessed to be able to make a living from my gifts. S27: What made you want to get into acting and writing? SR:I’ve wanted to be an actor for as long as I can remember. I was an only child for many years, so I created and mimicked a lot of characters. My mom took me to a lot of plays in NYC. She also kept me involved in activities that sparked my creativity. I think when I performed at Madison Square Garden was when I really wanted to be in the business. S27: That’s amazing - I didn’t know that about you! And you and I have gotten to perform a few times together at Dad’s Garage in Atlanta. You’re an awesome improvist - how did you get started with improv, and how does it play into your acting work? SR: I love performing with you - your choices are so complementary to whomever is in the scene with you. I started in stand-up, because I thought it was the fast track to acting. That’s when I met Tommy Futch. He had the idea of turning 9 urban and blue comedians into “clean” improvisers. [That’s how] The Blacktop Circus was born. It was one of maybe three all-black improv groups in the country. That was all of 20 years ago - it’s a lot more now. I [also] use improv for my auditions and helping me to create better choices. S27: What’s the best piece of advice you ever received as an actor? SR: Be honest in your scenes and keep perfecting your craft. S27: What are you currently working on? SR: I just filmed Boomerang, which is a TV show that picks up from the 90’s movie of the same name. I will be filming a movie in Savannah next week which I can’t name at this moment, and [am] filming a TV show called ‘Doom Patrol’ that I shoot next week as well. Also, I have a project that I wrote called, ‘Black Magic’ that will also feature [Atlanta actor] Hannah Aslesen. S27: What future projects are you most excited about? SR: [That] project that I can’t tell you about! And Black Magic. S27: We can’t wait to hear more when you’re able to share it! Finally, what advice would YOU give a young, aspiring actor? SR: Being an actor is a journey of self-discovery. Be true to yourself and be true to the scene. Oh and don’t do drugs. Posted on October 31, 2018 by Girl.Copy.